There are so many education-themed Twitter chats but many new Twitter users do not know how to participate. When I began using Twitter over two years ago, I learned about Twitter chats by following hashtags. Hashtags are labels that help categorize tweets. 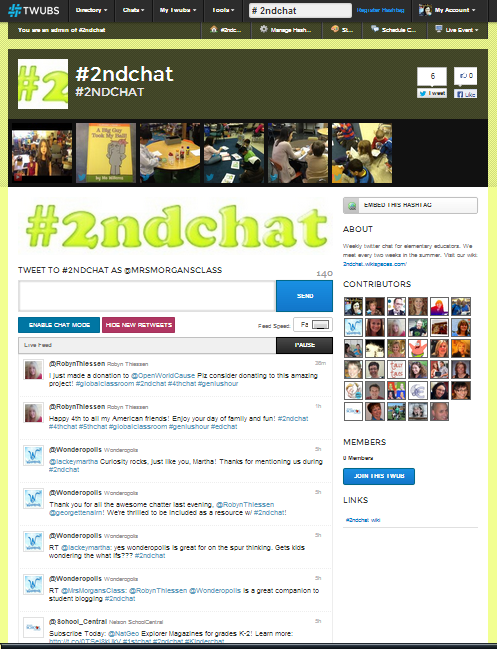 For instance, I use #globalclassroom and #2ndchat hashtags quite frequently depending on the content of my tweets. Twitter chats are designated times for tweeters to come together and chat. There are hundreds of chats that occur daily. @cybraryman1 does a great job of keeping up with the educational chats, but new ones are cropping up daily. Once you find a chat you would like join, just jump in. When I first started, I would "lurk" and not say much, but when I finally got the courage to jump in, I would inevitably forget to add the hashtag. Without the hashtag the tweet becomes part of general news feed, but the chat participants won't see it. I recently found Twubs, which is a great site for managing twitter chats. Twubs allows you to follow one hashtag at a time and adjust the feed speed from fast to slowest. Using this will keep you from getting overwhelmed with all of the tweets that can come so quickly during a chat. Enabling "chat mode" gives you a nice big screen with just the tweets. You can type your tweet into the box at the top and the hashtag is automatically added! You can also reply to, retweet, and favorite any of the paricipants' tweets. From my personal account, I can add all of the chats I follow and find new chats in the directory. Chat moderators can also register a hashtag. I love this feature because it allows you to set up a personalized page with photos and links that relate to your chat. I also like that it shows all of the contributors who have tweeted using the hashtag. You can also schedule your chat and it becomes part of the Twubs global calendar and you can embed a live feed widget on to your website or wiki. 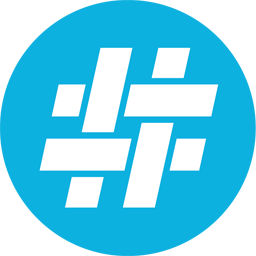 Try Twubs.com for your next chat!